Louise’s War is set in 1942 and involves the Office of Strategic Services. What interested you about this period and this legendary organization? I’m fascinated by World War II. It’s the last war we fought that wasn’t a war of choice, and it was a real battle between good and evil. It wasn’t a given that the Allies would win. And the Nazis and the Japanese military dictatorship–they were psychopaths and sociopaths. Despite being exhausted by the Depression ordinary people rose to the occasion all over the world and defeated the bad guys. I am so impressed by how brave and hard-working people were then. Your protagonist is a woman working for the government during a time when women in general were not seen as equals. Please describe how this affected your story and what challenges it presented. It affected my story hugely, for a couple of reasons. First I wanted to portray the way life was for women then. If you read the women’s magazines of the time, they will make you sick! Women were treated like children. If they weren’t married by their mid twenties they were old maids. Women weren’t expected to have homes and careers both, they had to choose one or the other. At the same time I needed to write a book with female characters my readers could identify with. As I researched more deeply, I discovered that many women resented their “place” and said so in letters and diaries. I made Louise Pearlie, my heroine, someone who knew she had to “conform” to get by, but thought whatever she pleased, even if she had to keep those thoughts to herself. Is Louise’s War based more upon fact or fiction? It’s mostly fiction. I created Louise and all her fellow boarders at “Two Trees,” her Jewish friend Rachel and most of her coworkers at the OSS. Louise’s friend Joan Adams is loosely based on Julia Child, who worked at OSS. I have kept the background as realistic as possible. And there are a few cameos by real people–General Donovan, who ran OSS, and Clark Gable! What interests you most about writing historical fiction? Do you have a background in academia? I love history. I got my undergraduate degree in it, but I’m not an academic. Before I began writing I worked in advertising. I just love learning about the past. To me it’s endlessly interesting. What kind of research did you do for the new book? Mountains of it! When I piled it all up on my desk, and there’s a picture of the stack somewhere on my website, it’s impressive. I used a few books, especially David Brinkley’s memoir of Washington DC during the war, and Elizabeth McIntosh’s Sisterhood of Spies, about women in the OSS. I stuck “1942” in an ebay search and came of with all kids of good stuff, magazines, books, and some great maps. I have a 1942 Esso tourist map of DC pinned to my office wall. I read every issue of the Washington Post for the time period of the story. I listed to the 40s channel on XM radio. I read mystery fiction from the era–Mary Roberts Rinehart and Rex Stout. Was there anything particularly interesting that you learned through your research that didn’t make it into the book or something from the book that you¹d like to highlight? This is a tough question, because I think all writers collect way more material than they actually include in a book. I did have to discard some darlings. I cut a scene with J. Edgar Hoover. I cut a scene with Eichmann–which I hated to do because it was nice and creepy, but it distracted from the main story. I have been so intensely working on this book and its sequel that I’ve been reading genres I don’t usually read because I can enjoy them without comparing them to my own work. I just loved Steig Larsson’s Millenium Series. And now I’m hooked on Game of Thrones–I’m most of the way through the fifth book. Unlike many mystery and suspense writers, I’ve never read Nancy Drew or the Hardy Boys! I’ve been profoundly influenced by Josephine Tey, especially her books Daughter of Time and Brat Farrar. And I adore Dorothy Sayers and Agatha Christie’s Miss Marple series. Modern favorites are Margaret Maron, Charles Todd, Ruth Rendell, and Tony Hillerman. There are so many good writers! What’s something that you’ve learned about the publishing business that you weren’t expecting? Do you have any advice for aspiring (or struggling) writers out there? What can I say about the publishing business that hasn’t already been said? I was surprised that it’s so volatile. And I thought that if you wrote a good book and got good reviews a decent income would follow. Not true, as most of us know. My advice to writers is to write every day and be stupidly persistent. Develop a thick skin. And realize that you can’t be lucky if you don’t try. Are you currently working on a new book? Can we get a sneak peek? I am within days of finishing LOUISE’S GAMBLE! It’s set in the fall of 1942. For now I’ll just say it involves Louise’s friendship with a Sicilian refugee, the Mafia, the docks of New York City, and the fabulous Mayflower Hotel. 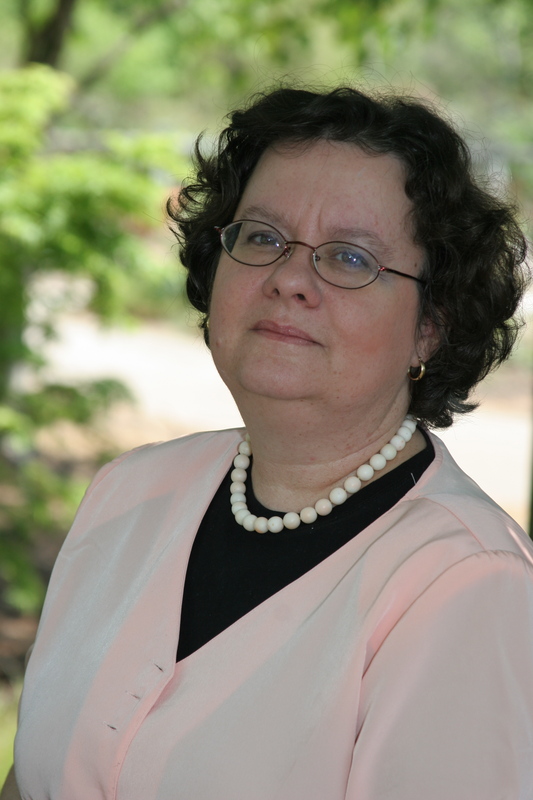 Sarah Shaber is an award-winning mystery author from North Carolina. 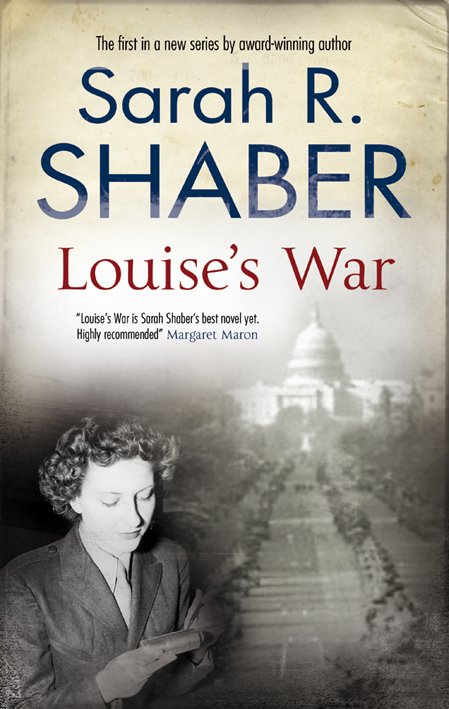 Her new historical series begins with LOUISE’S WAR, due in July 2011 from Severn House. It stars Louise Pearlie, a young widow working for the Office of Strategic Services in Washington, DC, during World War II. Her Professor Simon Shaw murder mysteries are now available as ebooks. She’s also the editor of Tar Heel Dead, a collection of short stories by North Carolina mystery writers. Shaber lives, writes, cooks, reads, and chills with her husband, Steve, in Raleigh. To learn more about Sarah Shaber, please visit her website.